Large parking lot steps from the Granby Ranch Grill. Our private dining space, 8350, named for its elevation, sits on the third floor of the base lodge at Granby ski area. 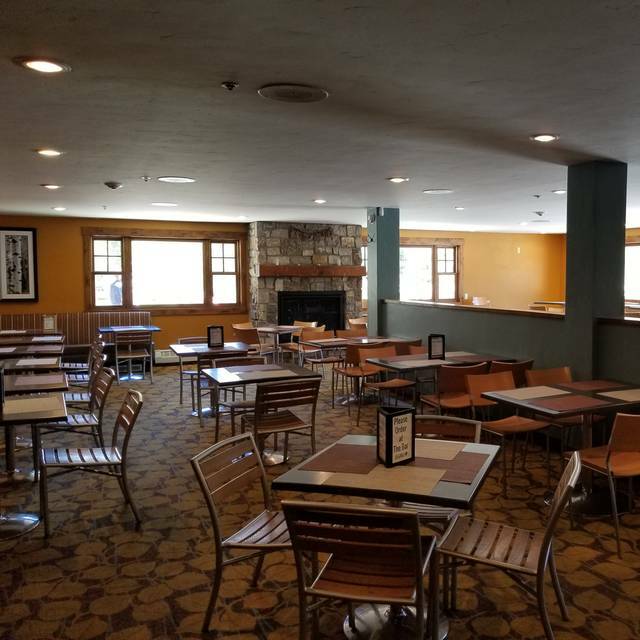 This upscale mountain lodge space is the perfect setting for any of your private events with its full bar, private patio, inviting stone fireplace, and options for either lounge style or formal table seating. For more information please contact Sales for more information or to schedule a site tour. 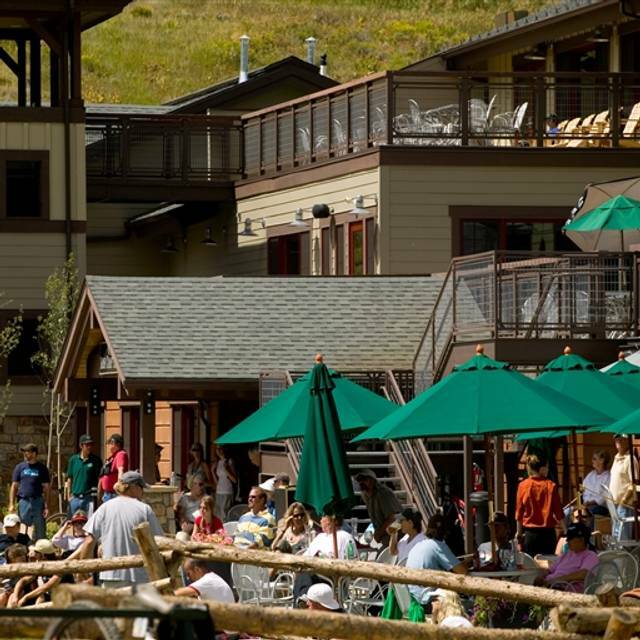 Experience the casual elegance of the Granby Ranch Grill, located at the base of Granby Ranch Ski Area in beautiful Granby, Colorado. Comfortable for the entire family with a casual dining area, slopeside patio, and a large beautiful outdoor fire pit. 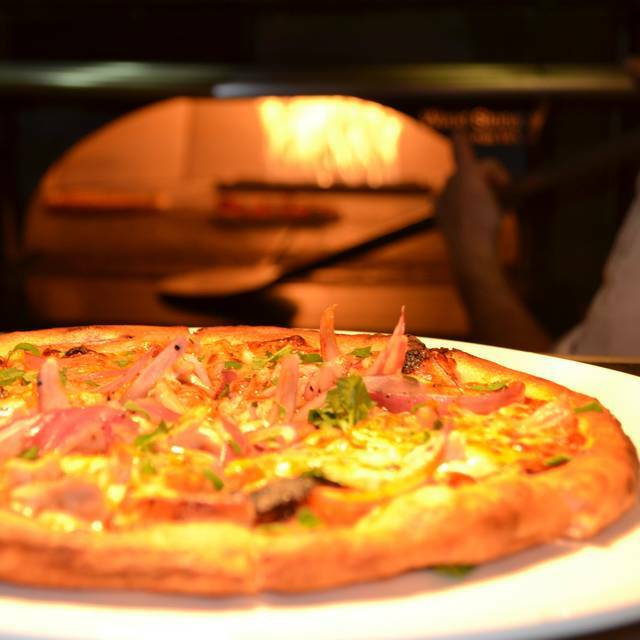 Our menu features artisanal pizzas, exquisite small plates and salads, gluten free options, and uniquely composed and delicious entrees. 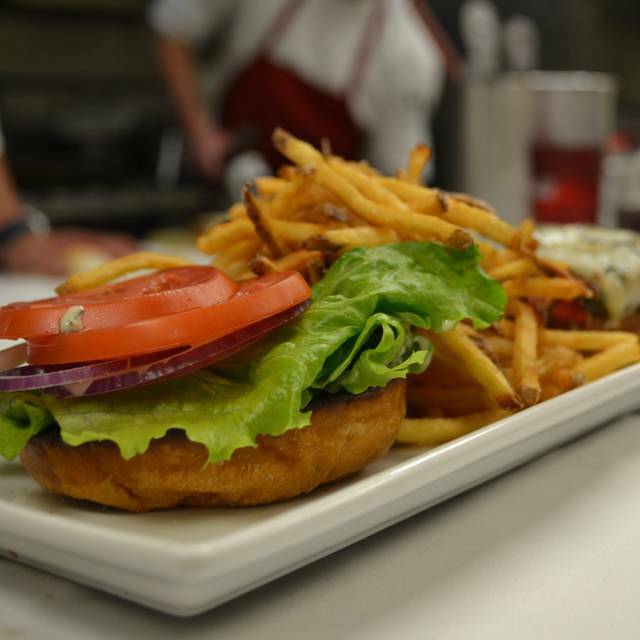 We also offer an amazing Happy Hour menu, every day from 3:00 pm to 6:00 pm., and a full bar from open to close. We have a house up in granby ranch and wish so badly this place would get its act together. Whether they have 50 guests or 10, every server and bartender seems completely overwhelmed and the service is so slow. Lunch took 90 minutes and every single order was wrong. Burgers and pizzas shouldn’t be that tough! Cheeseburgers, Pizza, Calzones, Wings, Fries, lemonade, cold beer and delish margaritas. All delicious and our group went away happy and full. Service was great as well. Will definitely return. We were seated right next to the fireplace, which was lovely. The waiter asked for our appetizer order. We ardered the trio as well as the rest of our meal. He came back 15 minutes later to say that our food would be out in ten minutes. Ten minutes later he said they were out of that app, would we like another. We then ordered dates. Ten minutes later he was back to say they were out of dates! We didn’t order another app. Ten minutes later food came. Asparagus was supposed to have lemon zest and parmigiana, had neither. Marinara sauce for dipping calzones cold/straight out of fridge. Chili delicious (but it is hard to mess up Chili!) Not a fan, not returning. The New Year’s Eve menu had a nice variety and was delicious! The service was excellent. Excellent value, especially if you go on Wednesdays! Certain wines are 50% off by the bottle, and if you try to order "good" wines in Grand County, especially in the Winter Park area, you'd realize that wines in restaurants are over priced. So this is a great deal! Second time that we have visited, and had excellent service both times! Excellent service, food and atmosphere. The folks at Granby Ranch Grill know how to take care of people! For a small family owner venue food is outstanding. Sometimes service is slow but the staff is friendly and outstanding. Nice place. Server was very good. We would come back! Great spot. Friendly staff, good Bloody Mary's. Pulled pork was good, excellent coleslaw. Excellent service and food was good but the menu has changed this spring. My favorite items, street tacos and nachos, are gone. Stephanie and Elizabeth provided excellent customer service to us! They checked upstairs for our preferred Kettle 1, and stuffed olives with blue cheese and jalapeño for our martinis. They knew when to chat with us and when to leave us to our own conversation. Burger and chili were good dishes! Excellent food. Limited menu, but nice for "small plates." Not worth the drive up the hill. I ordered the flank steak medium rare and it came out extremely rare. I sent it back for further cooking and the redness of the center was not any less red. The server agreed with me but did not offer to discount my meal or do anything to make it up to me. I also order the steamed vegetables, but the brussel sprouts were very hard and the broccoli wasn't much softer. The only redeeming factor was that my husband enjoyed his salmon and you can't really mess up the buttered noodles that my son wanted. Food is good but overpriced. Lots of items are quite spicy which limits the menu for those not into hot spicy food. We were there on a very busy day so service was very slow but understandable based on how many tables our very friendly server had. I ordered the soup/club sandwich which was too loaded with turkey so it overwhelmed everything else. I suggest you include avocado on this (for no charge) and cut the turkey in half. My soup was good but arrived cold (once again, I know it was a very busy day). I can't say enough about how friendly your staff is and the great atmosphere. We would definitely visit again. This town has limited dining options. The quality and price make this a good option. Granby Ranch Grill Menu for new ski season is awesome! Open table allowed us to make a reservation at a a restaurant that was closed and even sent us the email confirmation and reminder the day of. Apps were great! The brussel sprouts and philly cheese stake egg roll were AMAZINg. In the entrees, the burger was over done and the chicken was way dry. Server (jordan? ), charming, friendly, informed. We just started coming up to Granby Ranch this year and finally had dinner at the Grille. The atmosphere was extremely pleasant. The staff was friendly and knowledgeable. The food was extremely tasty! I had the Chicken and my wife had the Salmon. Definitely going to be dining here again! The service was horrible. Took a long time to get waited on after we were seated. The waitress was very nice but clearly had no idea how to wait tables. Drinks were served with the food. Not while we were waiting for food. Food was mediocre except for the salad which was good. Took forever to get our bill and it was wrong. No one ever checked on our beverages after the food was served. The place was very noisy btw. Terrible service, had as many staff as patrons and still couldn't get an order done.